This Christmas season, TopAdmit would like to THANK YOU to students from over 50 countries for choosing TopAdmit to venture the application hardships! We had a great time editing each and every one of your essays this year, and we are looking forward to more! Even though Christmas is just around the corner, we won’t be slacking off! 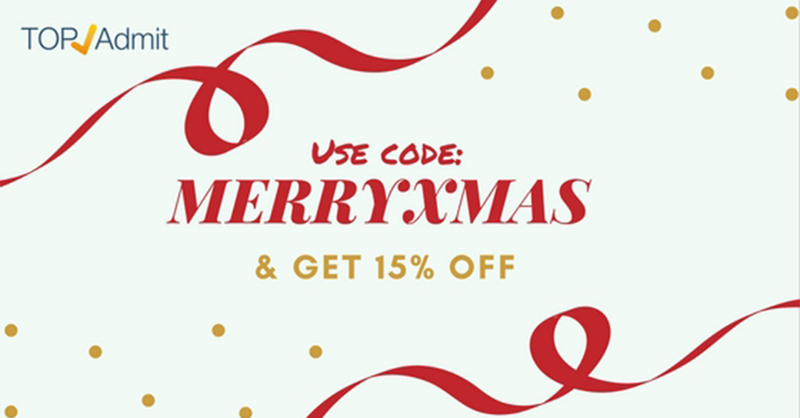 That is why we are offering a 15% discount, valid until 25 Dec: “MERRYXMAS”, to keep your essays flowing until Christmas Day!